Our automotive product range also extends to commercial vehicles and buses. DAL Motors has a long and successful relationship with the Mitsubishi Motors and Fuso line up of trucks and Temsa buses. A robust and serviceable range of vehicles which have proven their strength and reliability over many years as the infrastructure of the country has been developed. Mercedes Benz has joined the company with its superb products. Industry leading technology and engineering; quality and design which no other manufacturer can rival. Company Name: GULF OIL AND MARINE LTD.
We deal with MERCEDES BENZ TRUCKS parts as well as spare parts for all models of Scania; MAN and Renault buses; trailers and trucks and we distribute these all over East Africa a very vast region. 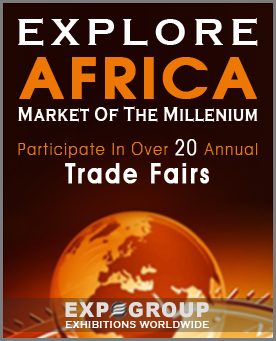 We need partners and exporters to link up with us for this huge market covering Kenya; Uganda; Rwanda; DR Congo. Spear Motors Ltd is based in Kampala; Uganda and is the dealer for Mercedes-Benz; Chrysler; Jeep; Dodge and GWM vehicles and cars and provides a full comprehensive service and repairs can be carried out at our state-of-the-art facility. We have been in this business for over 32 years now and still excited by the prospects for the future. Among the reasons for our optimism is a trend in the increasing desire for our products; services and the development of new opportunities for sustained; profitable growth. We understand that our leadership efforts are fundamental for success; and we will support and drive this relentlessly. This journey; however; is not ours alone. It is all about partnerships with our stakeholders – our employees; business partners; suppliers; customers; government and non-government organizations and communities. Sanji Security Systems (Pty) Ltd is privately owned by Management and the Gerber Goldschmidt Group an International Company. The Group was established 90 years ago and has a presence in most major Countries around the World. Sanji is located in Midrand; Gauteng; South Africa. Our Headquarters accommodate full design; production and warehouse facilities. Sanji Security Systems (Pty) Ltd is an ISO 9001 listed company. I am Vincent from GMP battery; glad to hear that you’re on the market for battery business. We are the leading Sino-Korea supplier of automotive batteries; motorcycle batteries; golf cart batteries; scooter batteries; UPS uninterrupted power and related products. Our strengths: More than ten years producing and exportation experience. Own FOUR big factories; including a professional battery plates factory. Certificates: ROSH; EC; CE; ISO9001; SONCAP ;TS ;UL Our competitive prices and good after-service. Company Name: Lyawere Company Ltd.